We know that to have something to be grateful for its own reward. But the benefits don’t stop there. 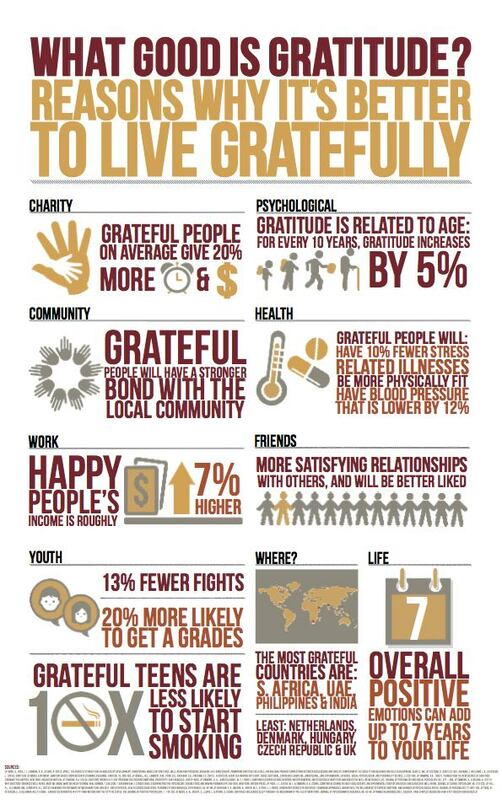 This beautiful infographic from the John Templeton Foundation shows us just how far-reaching the side effects of gratitude really are.